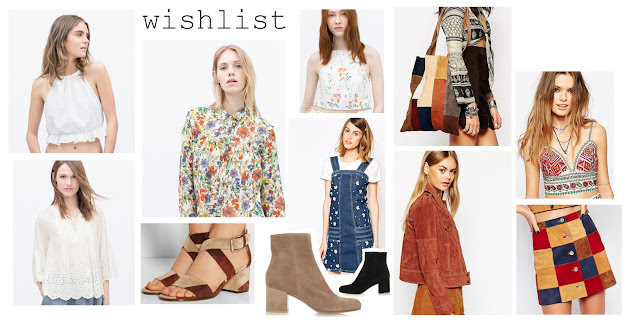 The 70s have taken over and I don't regret a thing well, maybe my bank balance does. 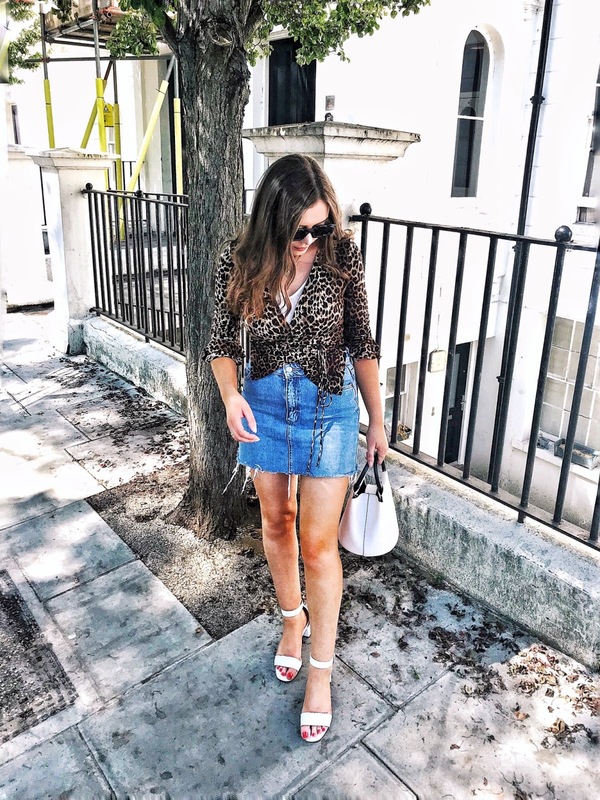 Currently I'm loving all things suede, of the patchwork kind and Gianvitto Rossi craftsmanship - the ankle boot of dreams is a sand suede form of designer heaven. While white embroidery and embellishments, whether it be clean cut, sequins of floral arrangement or the in season pom pom adoring an item of clothing or well, just about anything (clip on accessories, hell yeah) I'm all for it. The zig-zag pattern has me lusting after a certain piece of head-wear with such enthusiasm not seen since my 9 year old self spanned a glitter encrusted collection. 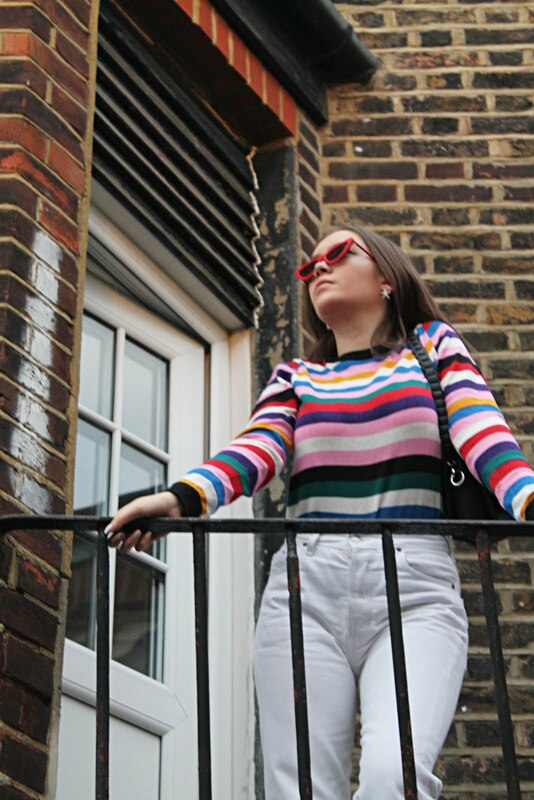 Not forgetting that all import 70s flare, the style which defined the decade has now been reborn, for me it's high waist or nothing and ASOS as always renders a great offering and you can never go wrong with stripes. 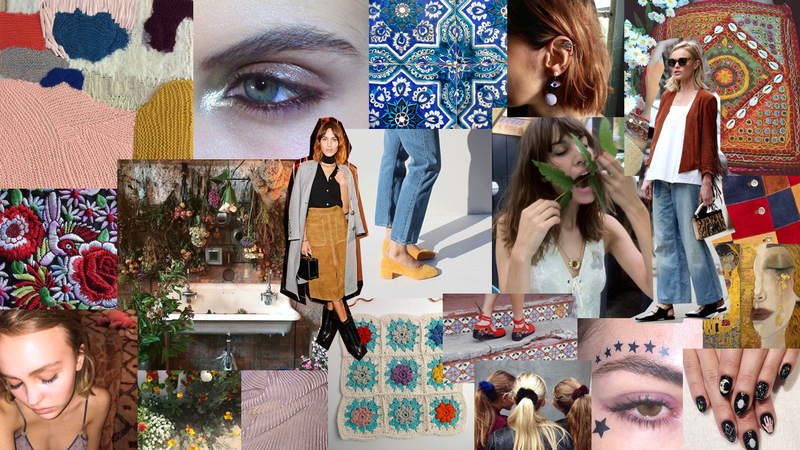 Moodboards and collages are something I am quite fond of, for me they're creatively inducing and aesthetically pleasing so, for this wishlist post I created a moodboard conspired of images and things which have been inspiring me recently - think lashings of crochet and Chung, tile patterns and bohemian elements with copious amounts of rich colour, florals and embroidery and well, let's not forget the 70s trend. 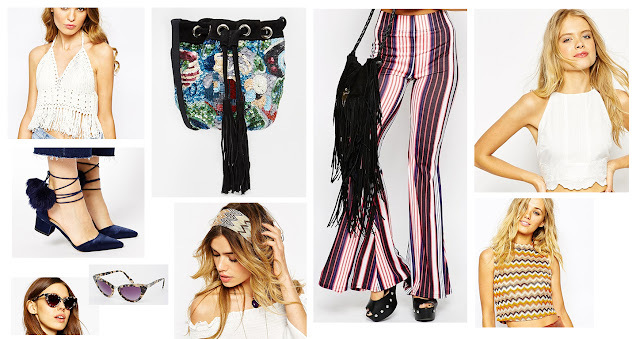 Great picks, in love with the flare trousers! I want that patchwork suede skirt, it's sooooooo nice! Ooo that patchwork skirt is gorgeous! I want all of these picks!